You just found out that your teenager lied to you, skipped school, snuck out, used drugs, etc. What do you do? As a parent, how do you respond? You may be angry at your teen, you may be embarrassed by their behavior, you may be feeling hurt and betrayed, you may feel like a failure, and/or you may want to prevent them from being able to engage in this kind of behavior ever again. You may feel like expressing your anger or your hurt feelings, or making new restrictions that keeps your teen more under control and supervised. These are all legitimate feelings and desires; the question is, what are the results that you want? And more importantly, what do you want your teen to be motivated by, and what motivations are effective long term? What is your goal as you parent your teen, and what response will cause you to meet your goal long term? 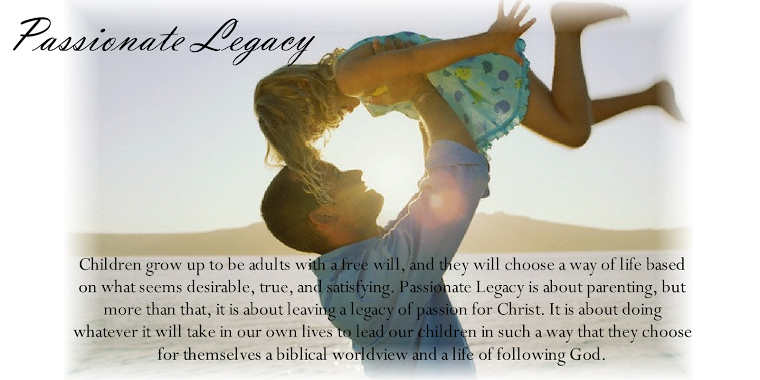 Let’s just assume that your goal as a parent is to instill a desire and ability to love God and obey Him. And let’s assume that you want your teen’s heart motivation to be understanding both the love that God has for him and the desire for him to have Life. One response that many parents have, is to get even for the pain that the child has caused by venting their full anger. They yell at the teen and try to scare and intimidate him. I think the belief is that the teen will fear facing the same consequences in the future and therefore make better behavioral choices. There are several problems with this approach. One problem is that the teen only becomes angry at the parent because he feels disrespected, rather than at his own poor choices. A scape goat is created for him. Another problem is that even if the teen becomes afraid of punishment, it doesn’t change his heart towards his poor choices. He will just work harder at not getting caught. This response will not result in a teen’s heart being motivated by love for God and what is right. When a person is only motivated by fear of punishment then their outward behavior may be changed for a short time, but if they are motivated from the heart, the behavior is changed for a lifetime. A second common response is to instill guilt about how the teen’s choices hurt the parents and embarrassed them. Although this is a good thing for the teen to understand, if it is often the focus of a parent’s reason that he should not misbehave, he may come to see his parent as just being self-centered. He may think that the parent is arbitrarily assigning morality to things that inconvenience her or affect her personally. A teen’s motivation for making good choices should not be focused on his parent’s feelings about it. He needs to understand that something is not wrong simply because a parent doesn’t like it, but because there is a deeper moral principle that is true at all times and in every situation. If the focus is how the teen’s behavior affects his parents, he does not have the opportunity to learn this. He needs to understand a bigger picture for a heart change to occur. In general, love for what is good, is a far greater motivator of the heart than guilt. A third option might be to restrict the teen’s freedom so that he is unable to repeat the offense. The problem is that this is only a temporary fix. Even if you could provide your teen with supervision twenty-four hours a day, controlling behavior does not change a person’s heart. If he still believes behavior that is bad for him is good for him, he will engage in it as soon as he is able. Again this response does nothing to change the heart. None of these responses address the heart, so let's take all three of these options off the table.